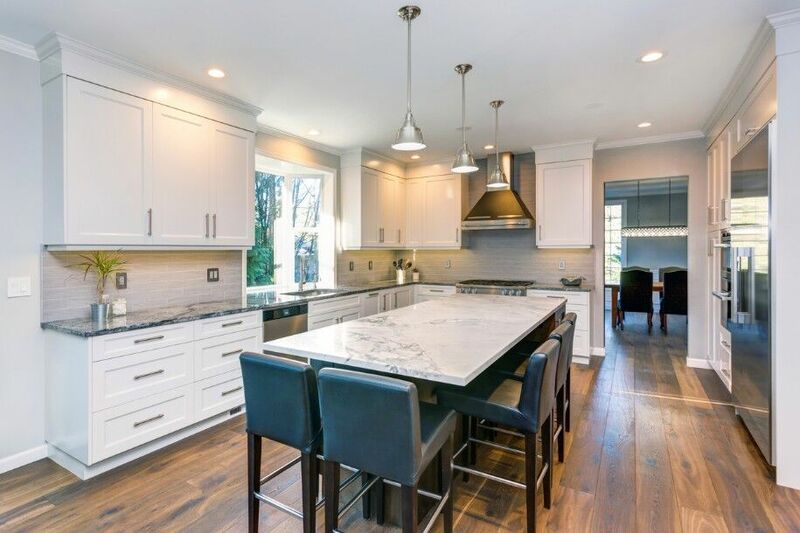 Now that you have decided to get the ball rolling on your new kitchen updating or construction plan, you may understandably be focused on choosing gorgeous materials that will give your space a stunning look. You also need your kitchen design to improve how you and your family use the space from a functional standpoint. Numerous factors must be taken into consideration to create a kitchen that lives up to your high expectations. By asking each of these important questions, you can help yourself to feel more satisfied with the end result. 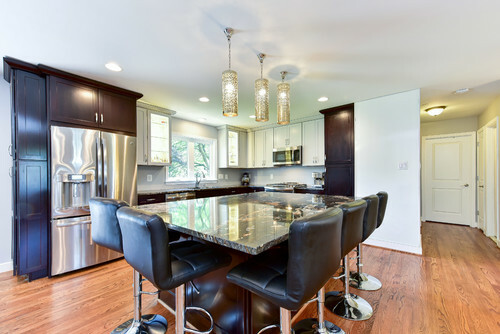 What Are the Critical Elements of an Excellent Kitchen Layout? Each homeowner has unique needs and wants for their custom kitchen. However, there are some important elements that are found in almost every design. A common rule that is followed in most designs is the inclusion of a work triangle. This essentially describes a layout with the refrigerator, cooktop and sink all positioned in a triangle. Ideally, these three critical areas in the kitchen will be fairly close together regardless of how large the kitchen is. This promotes ideal functionality. Be aware, however, that the work triangle concept is not possible or practical with all existing floorplans. How Can I Save Money While Still Creating a High-End Look in the Kitchen? The cost of a new custom kitchen can range considerably. Regardless of what your budget is, it makes sense to maximize every dollar. A thoughtful design can save money by eliminating or reducing the need to pay for electrical and plumbing services. You may also be able to save money by choosing more affordable materials. Ceramic, stone and concrete are wonderful alternatives for countertops compared to other popular and expensive materials, such as soapstone and granite. Likewise, the cost of cabinetry varies dramatically based on the wood species that you select as well as how decorative you prefer the cabinets to be. How Can a Custom Design Maximize Storage Space? A smart design for a custom kitchen takes into account the homeowner’s unique needs for storage space. For example, some homeowners may use numerous spices. They may need to have a built-in lazy Susan to accommodate spices and other similar cooking ingredients. Depending on the items in the kitchen, a homeowner may benefit by having several large and deep drawers versus several tall, narrow cabinets. There are numerous cabinet configurations as well as organizational features that may be used in a smart kitchen design to maximize space. What Are Some Energy-Saving Ideas for a New Kitchen? A considerable amount of energy can be used in the kitchen. Therefore, it makes sense to create a kitchen design that promotes energy conservation. One idea is to incorporate as much natural light into the space as possible, such as through large bay windows and skylights. These should be well-insulated to avoid energy loss through the glass panes. Dimmer switches may also be installed to further reduce energy consumption related to lighting without negatively affecting your ability to use bright light as needed. Investing in energy-saving appliances is another smart idea to consider. Some homeowners may also take additional steps that are much more significant, such as installing an energy-saving hot water heater and solar panels. Your kitchen design is all your own, but there are some elements that are essential to include, and many ideas can help save you money. Working with a design and construction professional like Alair Homes Arlington is a great way to bring your ideas to the table and maximize your budget. If you’re ready to remodel your kitchen, let’s talk. Contact us to schedule a complimentary consultation.